Bikeboard is a versatile, cutting edge and an exciting new creation arriving on global scene just few years back. Bikeboard product lines range from efficient and simple transportation, to golf cart replacements, to snowboarding or skateboarding permutations. The different attachments for Bikeboard permit the users to change from street to snow to water and back to golf course. The Bikeboard site is designed to reflect the young, modern appeal that the products bring to the table. 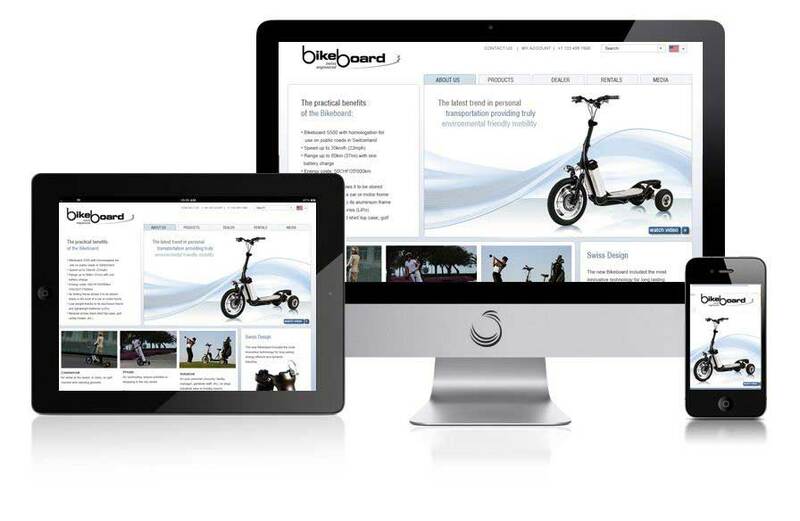 This website highlights all the features of Bikeboard with great photography, recommended applications and attachments, various product lines, rental policies, dealerships, and a media portal to display submitted videos and photos.